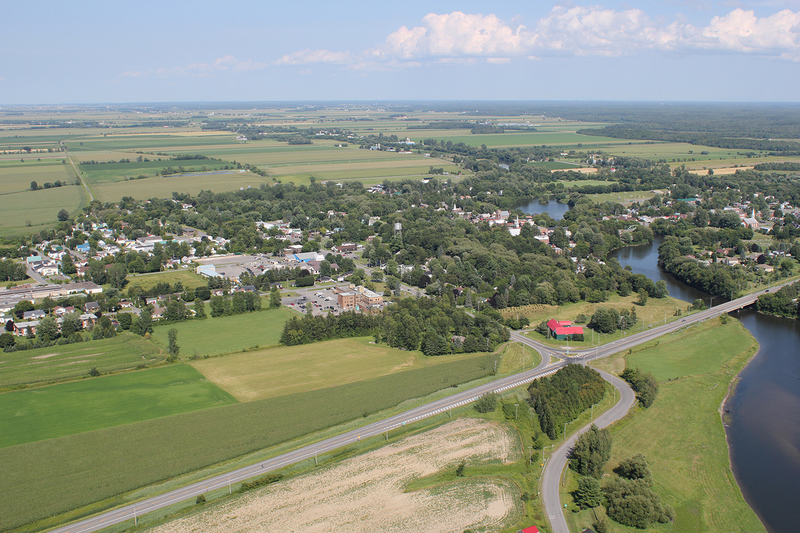 Nestled on fertile lands surrounded by the Chateauguay and Outardes River, the municipality has long been recognized as the Quebec hub of the brick making industry. One can still see the clay brick used to build houses particularly along Bridge, Church and Lambton streets, which stand as a reminder of Ormstown’s prosperous past. The Victorian-style houses still lend an enchanting cachet to the heart of the town to this day. 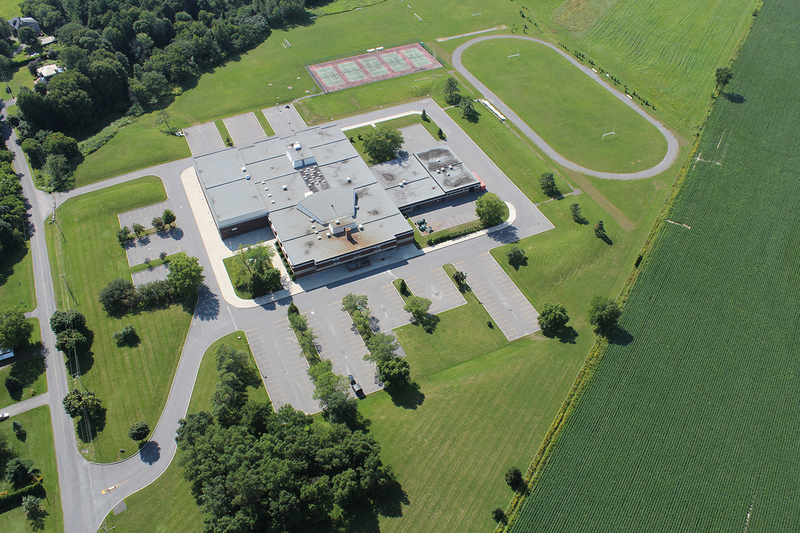 The Chateauguay Valley Regional High School as well as the Chateauguay Valley Career Education Centre, the municipal library (affiliated with the Réseau Biblio), the Recreation Centre, the Ormstown Fair and the Branches & Roots Folk Music Festival are some of the many elements that enrich the social and community life of the municipality. 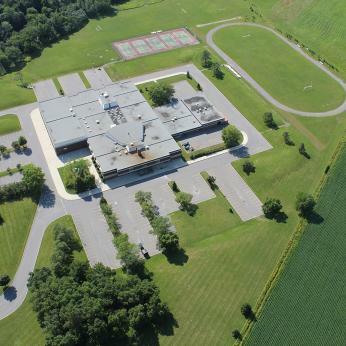 The beginnings of the history of Ormstown date back to around 1800. In 1808 a sawmill was built which was soon followed by a Presbyterian Church (1829), and the first Anglican Church (1832). The first steps toward the establishment of a Catholic parish were undertaken by Bishop Lartigue, the Bishop of Montreal, in 1828. 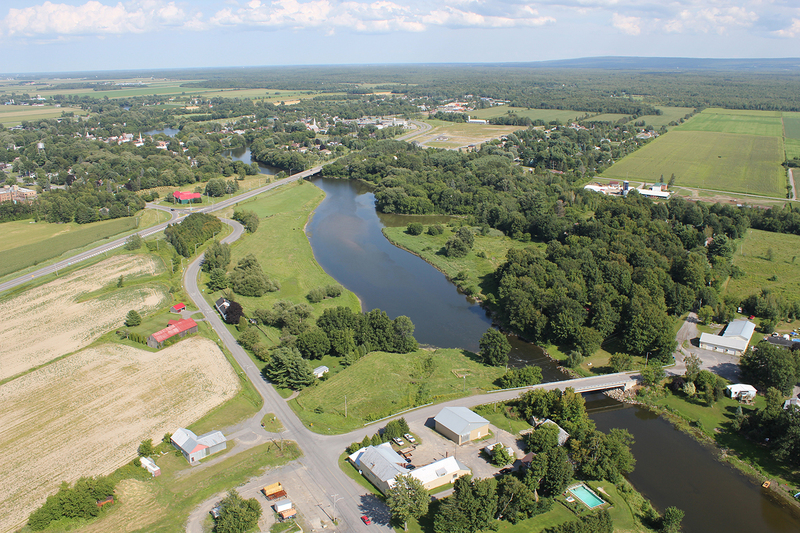 This would culminate in 1846, however the official consecration under the name “Saint-Malachie (Ormstown)” would take place only in 1858. 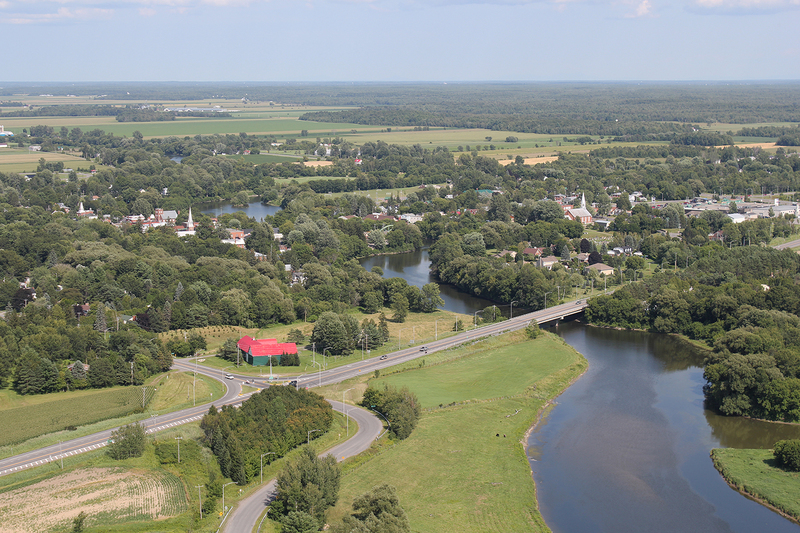 The municipality of the parish of Saint-Malachie-d’Ormstown was instituted in 1855. 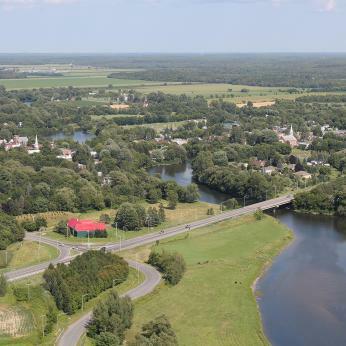 This however was preceded by the establishment of the municipality of Ormstown in 1845, the territory of which would become two years later part of the municipality of Beauharnois County before being reinstated under its original name in 1855. The designation was in memory of an Irish saint, Bishop of Connor and Archbishop of Armagh, who was born in 1094 and died in 1148. A friend of Saint Bernard, he was recognized as the most remarkable reformer of the Church of Ireland in the twelfth century. The former municipality of the village of Ormstown was created in 1889. Historically, a post office was first identified under the name “Ormstown” as of 1836. The origins of the municipal denomination go back to the eighteenth century. The territory was originally part of the Seigneury de Beauharnois, which was conceded to Claude and Charles de Beauharnois in 1729. Michel Chartier de Lotbinière, who had become the owner, sold in 1975 to Alexander Ellice (1743-1805) - surname sometimes spelled Ellis - a merchant of Scottish origin. According to the most popular version, around 1800 a surveyor named William Waller divided the territory into five parts, each bearing the name of one of Lord Ellice’s sons. As has sometimes been pointed out, none of Ellice’s sons bore the name Orms. 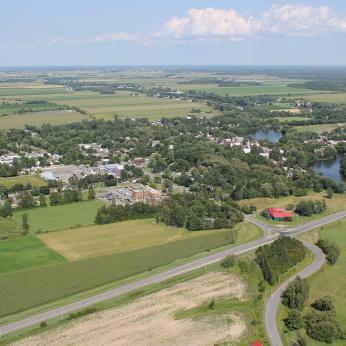 According to André Larose, it can be surmised that “Ormstown” could have been chosen by his chargé d’affaires, Francis Winter, who was native to the United States. 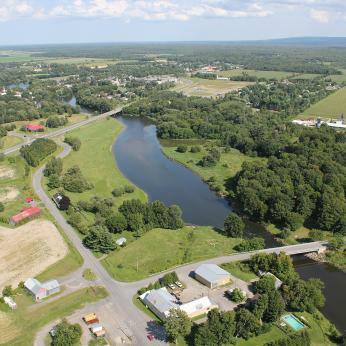 There exists an Ormiston Corners in the State of New York. According to the secretary-treasurer of the municipality in 1905, Alex Mills, the territory was populated by inhabitants of Scottish and Northern Irish decent, circa 1820. They would have given the locality the name “Ormiston”, which was corrupted as “Ormstown”, as the surname of a notable individual of their country of origin. It must be noted, however, that there is also a place called “Ormiston”, located south-east of Edinburgh. The municipality was formerly named “Durham” (circa 1860), without any reason being given.